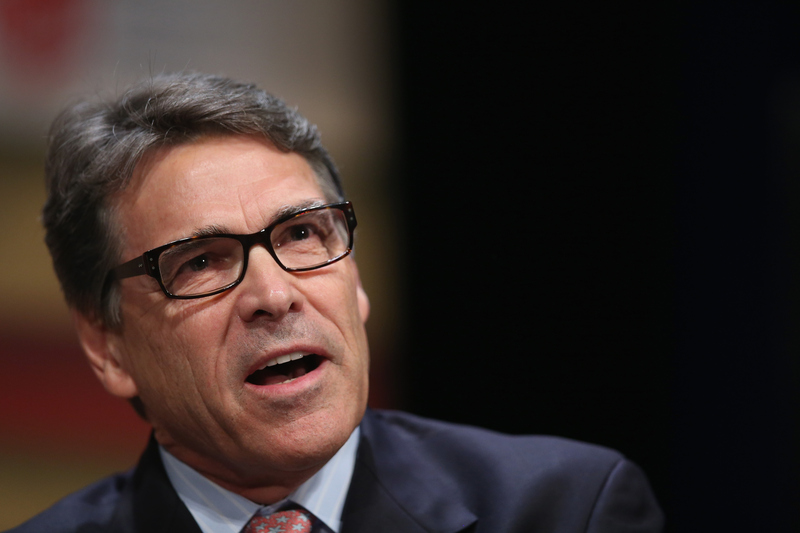 Rick Perry: Donald Trump's bid a "cancer on conservatism"
Former Texas Gov. Rick Perry came out swinging at his fellow Republican presidential candidate Donald Trump Wednesday in a speech that called Trump's candidacy "a cancer on conservatism." Perry spoke at a forum for the Opportunity and Freedom PAC, which is supporting his presidential bid. He has been one of the most vocal critics of Trump among the Republican field, both for the businessman's comments about Mexican immigrants and his challenge over Arizona Sen. John McCain's war record at an Iowa event over the weekend. His speech Wednesday began with a grim description of the state of the world that laid blame at President Obama's feet, followed by soaring praise for other presidents from George Washington to Franklin Delano Roosevelt - "giants" who occupied the White House, he said. Then he laid into Trump. "He offers a barking carnival act that can be best described as Trumpism: a toxic mix of demagoguery, mean-spiritedness and nonsense that will lead the Republican Party to perdition if pursued, "Perry said. "Let no one be mistaken - Donald Trump's candidacy is a cancer on conservatism, and it must be clearly diagnosed, excised and discarded." Perry also said that Trump had been "wrongly demonizing Mexican-Americans for political sport," and that he "scapegoats Hispanics to appeal to our worst instincts." Drawing on history, he said Trump's politics were like that of the "Know Nothings," a political party in the mid-1800s that blamed Catholic Irish and German immigrants for America's problems. "My fellow Republicans, beware of false prophets. Do not let itching ears be tickled by messengers who appeal to anger, division and resentment," Perry warned. "I will not go quiet when this cancer on conservatism threatens to metastasize into a movement of mean-spirited politics that will send the Republican Party to the same place it sent the Whig Party in 1854: The graveyard." The speech was a clear escalation of a public war of words between the two men for several weeks now. Trump has repeatedly critiqued Perry's job securing the border as governor of Texas, and during a speech in South Carolina Tuesday said that Perry should be "forced to take an IQ test before being allowed to enter the GOP debate."